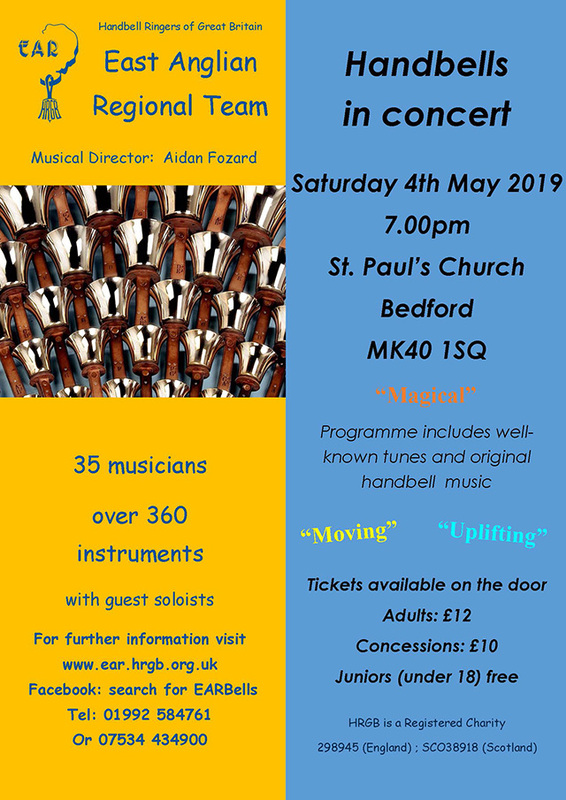 The East Anglian Regional Handbell Team will be playing a selection of well-known tunes and original handbell music. With 35 musicians and over 360 instruments this is an even not to be missed. Items include arrangements of "Scarborough Fair," "Search with all your heart," and "Stairway to Heaven." Tickets £12, Concessions £!0 and under 18s free. Tickets available on the door.